Apologies for the hiatus, I was travelling. 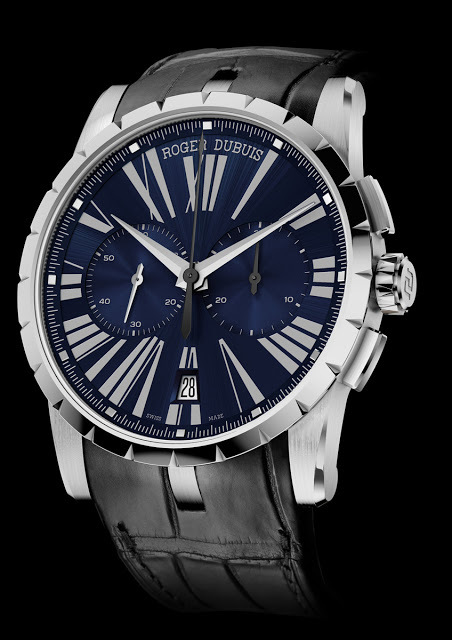 Now back to regular programming – Roger Dubuis has just announced the steel Excalibur 42 Chronograph as part of its SIHH 2013 preview. 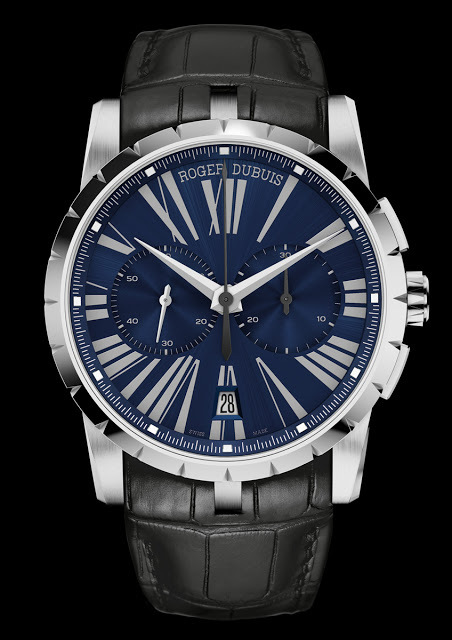 Shown here with a blue dial that will be available only at Roger Dubuis boutiques, the new 42 mm Excalibur chronograph uses the in-house cal. RD681 with micro-rotor. Naturally the movement is (new and updated) Geneva Seal certified, as well as COSC tested. Unlike many of the earlier Excalibur watches, this chronograph is more restrained in size and design. 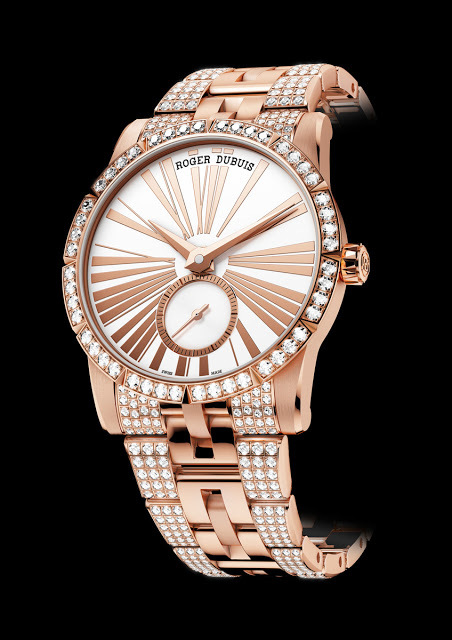 This is in keeping with the overall strategy of moderating the exuberance of the RD brand, and bringing it closer to what it was when Roger Dubuis co-founded the company.